Many riding routes offer terrific street food, excellent opportunities for drinking with locals in lively bars, great chances to see spectacular sunrises and sunsets, scenic camping spots aplenty, and picturesque panoramic views all around. The easiest routes are those from Titicaca to the capital city of La Paz, to Oruro, to Uyuni, and to Villazon. There is, however, an abundance of scenery on the off road tracks to the west of the country. In the south west part of the country you can climb high in the Andes amongst vibrant volcanoes that are rich in colour, glorious deserts with wonderful hues and tones, spurting geysers, strange and incredible rock formations, and with a rare sense of quiet and peace. Deserted villages line the roads, with quiet mud huts offering perfect respite from the burning sun. It is likely that you will not encounter many people on your adventures. You can choose to cycle independently or as part of an organised group. 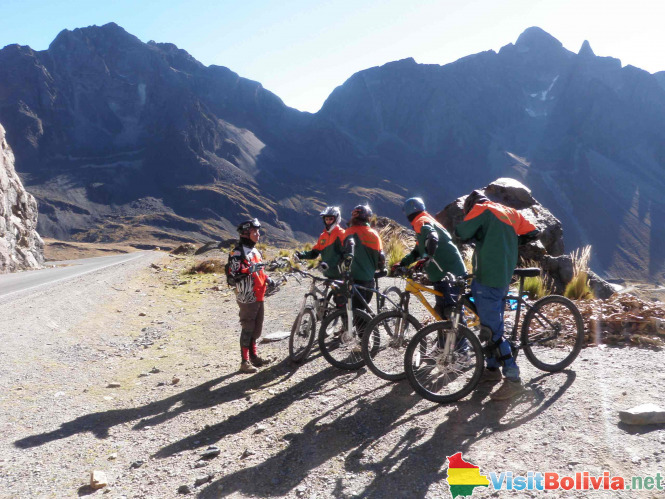 Tour operators organise exhilarating and exciting downhill mountain biking opportunities a little way outside of La Paz, ideal for those who want to enjoy some cycling in Bolivia, but do not have so much time to travel around the country. You can ride on tracks that no longer have other vehicles and traffic, and have a go at some skreeing. Skreeing is riding on very loose gravelly surfaces. On the ride you will see the spooky El Castillo, the towering pyramid adorned Huayna Potosi Mountain, Mount Chacaltaya Glacier, plunging valleys, and excellent views. Riders are typically grouped together depending on ability levels and there are different tracks to choose from depending on the exact level of challenge you want. The ride combines speed, adrenalin, and technical riding. In the Sorata region, you can sample some of the world’s best downhill mountain biking tracks. It is more suited for experienced riders. Between Chacaltaya and Zongo you can ride a trail that has one of the biggest altitude drops in a single day. Starting on a high glacier, you will rapidly descend over the course of a day into a lush jungle. The daily descent is over 4,300 metres! 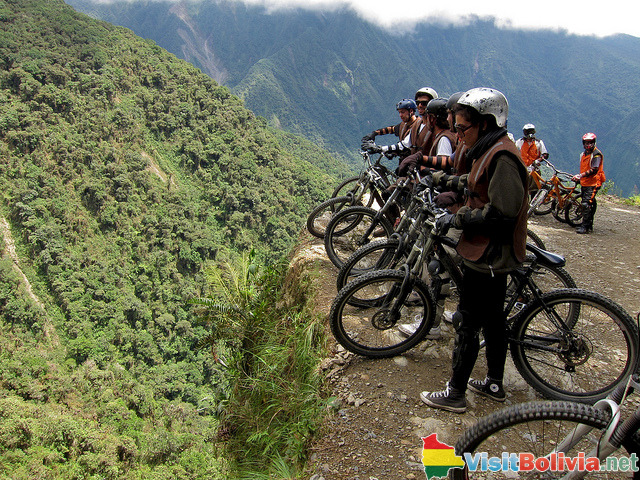 It is one of the most exciting bike rides in both Bolivia and in the Andes. Completely off the well trodden track, it takes in an amazing five different eco systems, with mountains, glacial lakes, a variety of flora and fauna, a gorgeous river, stunning waterfalls, and more!